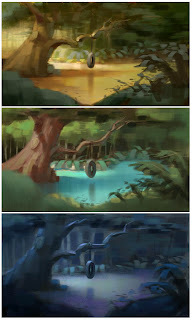 A personal assignment I gave myself: to come up with an environment and do a few different keys for it. I just wrapped up a television series at work, where I was one of three colour key guys. We didn't always have the time to explore different possibilities, so this was like therapy. 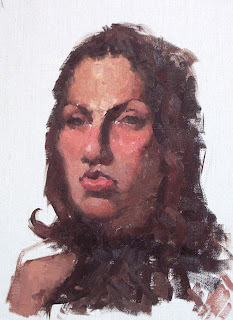 Another oil head study from life. This one's 9x12 on linen, which is a pretty nice surface to paint on! 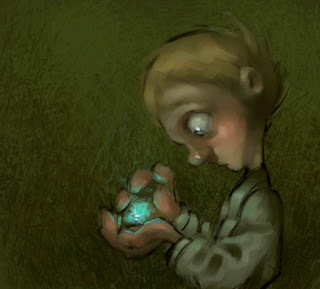 Having been painting exclusively from life for the past month, I already feel rough when doing stuff without reference. I constantly wanted to "look up" at something while painting this. But I do think some information that I gained recently from life found its way in here. I've been taking a little time away from conceptual stuff, and using it to focus on traditional studies. I'm trying to attend as many open life sessions as I can, and I'm going out to California next month to paint for a week! Looking real forward to that. 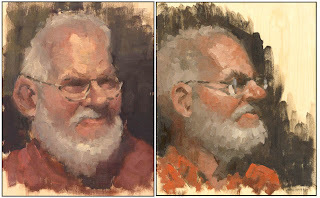 Anyway, here's two studies from this weekend. Both oil on board, 8x10".